Free on site private car park, in chesterfield town centre. 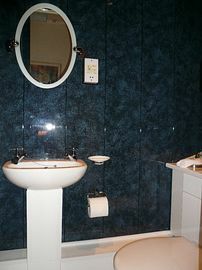 Free wireless internet (WIFI) & Digital TV in all rooms. 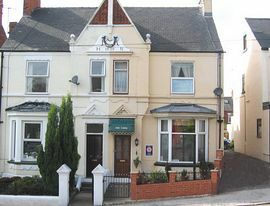 The Anis Louise Guest House is a small, clean family run Bed and Breakfast, situated on the edge of Chesterfield town centre with free on site private car parking. We are constantly updating the rooms and public areas for you to relax and unwind in. 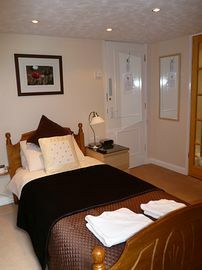 During your stay you can relax in your own room, with full en-suite facilities. We even provide Tolietries and a refreshment tray with complementary Tea/Coffee and Biscuits to enjoy. We have installed Digital free view television for your enjoyment, whilst either relaxing in your room following a busy day or preparing to go out and enjoy the good food, night life and entertainment of Chesterfield. You can enjoy a meal at several local places, including many Pubs and Restaurants including Thai, Chinese, Italian, Indian and of course English; all within a short stroll away, so no need to worry about parking or taxis. If you own a laptop computor, bring it along to use our free wireless broadband (WIFI). If you do not own a laptop, please speak to your hosts who can provide one for you to use during your stay (Extra charge is payable). 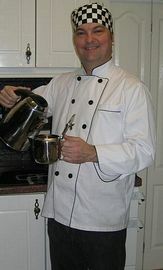 After you have had a relaxing nights sleep you can enjoy a fresh cooked full English or full Vegetarian breakfast (Vegi Sausage and bacon), but if this is too much to handle you can always have a lighter option, such as: Boiled Eggs and soldiers or Scrambled Eggs on Toast, you can even order fresh fruit and Yogurt. Children are made very welcome with Cots and high Chairs provided. We can also provide Push chairs, Bouncers, Mini Fridge, Steriliser to help look after your little darlings. We are located just a short Drive or Bus ride to Chatsworth House with all its splendor. Or take a walk in The Peak District with its stunning hills, lakes and valleys. You could visit the Castle at Bolsover or even go to Haddon hall to see its glory. We are idealy situated for The Technique Training Centre / Collage at Barlborough. With special rates available for TTC students. Whatever your requirements, your hosts will endevour to meet them. Just ask! 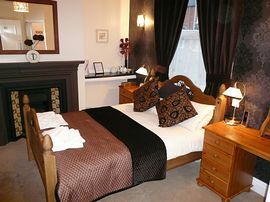 Prices from £25.00 rising to £37.00 per person per night. Open all year every day. Pet Facilities: Pets are not allowed. Sorry no pets. Smoking Facilities: Smoking is not allowed. No Smoking throughout the guesthouse. Dear Martin,Lisa and Rosie, Thank you so much for your very generous hospitality last night. It was so refreshing to find accommodation on a website and actually get what is advertised, beautiful rooms (with every possible thing you could want, think of) delicious food and wonderful, friendly service. We loved the'big'china cups,the large kettle(you usually get those silly little ones) the generous tea and coffee sachets and I especially loved the hearts on the loo paper! !And even 2 keys, although I am glad to say that we did'nt fall out and therefore only used the one! We also could'nt get over how close you were to town, just a few minutes walk. We wished we had been staying longer, as looking at the information in the room, we could'nt get over how many lovely places there are to see around Chesterfield. We did'nt have any complaints whatsoever and would recommend you to anyone wanting to stay in or around Chesterfield and if we are visiting our friends again, we will be back. From junction 29 of M1 follow A617 to Chesterfield (approx 4 miles). At roundabout select middle lane and take 2nd exit. At next roundabout take 1st exit (towards Chatsworth). At traffic lights select right hand lane and go straight on. At traffic light controlled roundabout (B&Q) take 4th exit turning immediately left onto Rutland Road (one way street). Take second right (Albion Road). At crossroads turn right (Clarence Road, one way street). Anis Louise Guest House is directly on right. Follow A619 to Chesterfield. At traffic light controlled roundabout (B&Q) select middle lane, take 2nd exit turning immediately left onto Rutland Road (one way street). Take second right (Albion Road). At crossroads turn right (Clarence Road, one way street). Anis Louise Guest House is directly on right.